The Bharatiya Janata Party (BJP) also used the opportunity to attack the Congress party over statements made by some of its leaders during their visits to Pakistan. 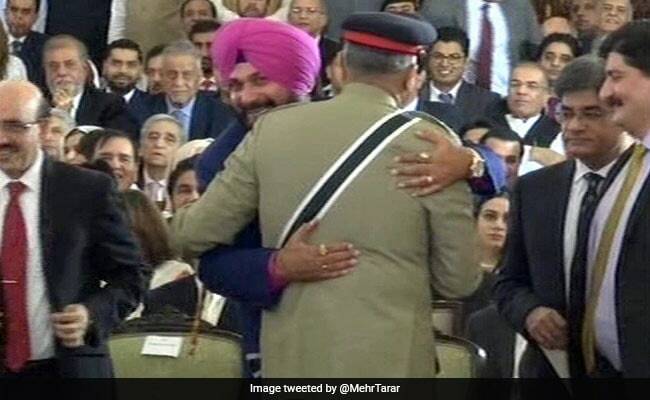 Navjot Singh Sidhu was attacked for hugging Pakistan's Army Chief Qamar Javed Bajwa. The BJP on Saturday attacked Punjab Minister and Congress leader Navjot Singh Sidhu for hugging Pakistan's Army Chief Qamar Javed Bajwa and for sitting beside the President of Pakistan-occupied-Kashmir (PoK) at the swearing in ceremony of new Prime Minister Imran Khan and demanded his suspension from the party immediately. 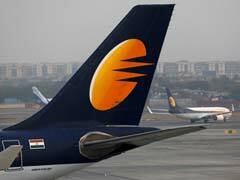 The Bharatiya Janata Party (BJP) also used the opportunity to attack the Congress party over statements made by some of its leaders during their visits to Pakistan and asked Congress President Rahul Gandhi whether Mr Sidhu had his permission to go there and whether he would suspend him immediately. "Sidhu during his visit to Pakistan to attend the swearing in ceremony of Imran Khan as Pakistan's Prime Minister hugged Pakistan's Army Chief," BJP spokesperson Sambit Patra told reporters adding that he also sat next to PoK President Masood Khan. "It is not an ordinary thing. Mr Sidhu is not an ordinary man but a minister in the Punjab government. And every Indian has taken this issue very seriously," he said asking why Mr Sidhu did not object when the PoK President was made to sit next to him. Firing salvos at the Congress President, Mr Patra said, "Rahulji, did you grant permission to Sidhu to go to Pakistan? Will you suspend him before his arrival in the country?". Slamming Mr Sidhu, he said that before hugging Pakistan''s Army Chief, did he not remember how their army killed innocent people and army men in India. The BJP spokesperson's remarks came after Sidhu's participation in the ceremony and his remarks to the media there that he hoped ties between New Delhi and Islamabad would improve with Imran Khan at the helm. Praising Imran Khan while speaking to the state-run PTV, Mr Sidhu said: "A new morning is here in Pakistan with a new government which can change the destiny of the country." He hoped that Khan''s victory would be good for the peace process between the two neighbours. Raking up the statements of several Congress leaders visiting Pakistan and praising Pakistan, the BJP leader said, "Salman Khurshid went to Pakistan and said Narendra Modi government did not want peace with Pakistan. Even Mani Shankar Aiyar in an interview in Pakistan in November, 2015 said that Modi government should be removed," he said. "In June this year, Ghulam Nabi Azad also questioned Army's action in Jammu and Kashmir after he said that the armed forces kill more civilians than the terrorists," he said adding that another Congress leader Saifuddin Soz had said that he stood with Gen Pervez Musharraf and demanded an independent Kashmir. "And today Sidhuji said that he wants to thank the people of Pakistan. For what does he want to say ''thank you'' to them? For sending terrorists, for killing innocents, for killing our soldiers?" Mr Patra asked. The BJP leader also slammed the Congress President and its leaders for questioning the surgical strike and its leaders disrespecting the Army Chief of the country. "Your (Gandhi) party leaders disrespect the army chief of the country by calling him a street goon, while your leader (Sidhu) believes Pakistan''s army Chief that they want peace," he added.